Landing in data science jobs can be really exciting. But what is Data Science anyway? You use Google Search if you want to know about anything under the sun. Say for example you type, “cats that sing” in Google. Immediately as you type these words Google collects for you the best search results. Furthermore, how is this list developed by Google? Google makes use of data science algorithms to give you the best of search results. Therefore, you can listen to cats really singing! Thanks to Data Science. So why not plan to become part of this wonderful technology? 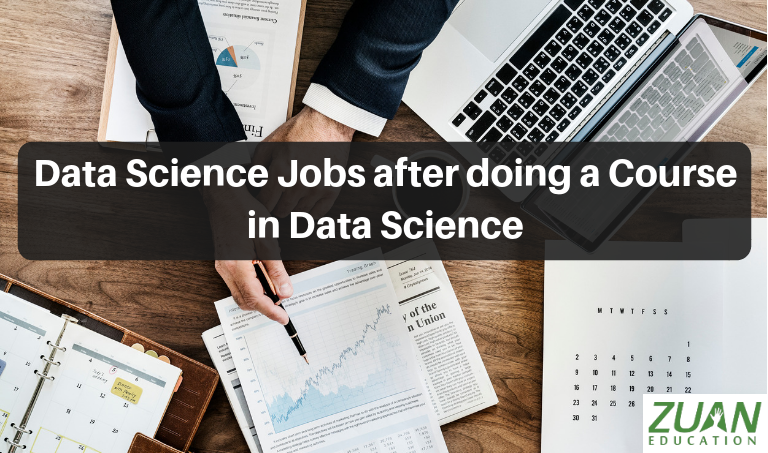 Why not make your future secure with data science jobs? Significantly, you know Google Search and Bing Search etc are not going to die any soon. Markedly, it will be good if you do a short-term more practical data science course in a professional institution. You get more practical data science knowledge in these private IT institutes. Your next question probably would be, Why should I do a course in data science? Why should You do a Course in Data Science? The future of job security in data science both in India and internationally is highly secure. Furthermore, big companies in India and abroad are hiring skilled data scientists who have done a course in data science. It is not enough to have common knowledge about data science. Companies look for students who are professionally trained in data science from IT institutes. Significantly, IBM predicts that by 2020 demand for data scientists will increase by 28%. Furthermore, by 2020 the number of Data Science and Analytics job listings will grow by nearly 364,000 listings to approximately 2,720,000. Additionally, 59% of all Data Science and Analytics (DSA) job demand will be in Finance and Insurance, Professional Services, and IT. What Job Roles you will Get in Data Science Jobs? You will be given live data science projects to work on. You will get a Data Science Certificate in a very short time. So you can apply for a job soon. Significantly, your trainer will be a professional Data Scientist working in a company. You will get a Data Science Course Completion Certificate. This certificate will be an industry-oriented job certificate. Can You Opt for recognised Global Certifications in Data Science? You have a very good future by learning a data science course and its skills. Moreover, there is nothing to fear in learning things like data analysis, machine learning etc. Markedly, little knowledge of computer science is enough to start a career in data science jobs. Further, data science teams in companies will train you to master data science skills. Significantly, the first step you have to do is to enroll for a short term course in private professional institutions in your city or town.